NH-5,Near HP gas and singi bandha. 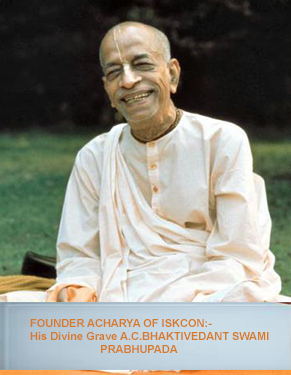 Why we started ISKCON in Brahmapur? Then the villagers took Him to their village where one big neem tree was there and from there, He preached the glories of the Holy name Hare Krishna mahamantra in the near by villages. According to the local legends, one descendant of Mishra fimily got instruction in dream from Chaitanya Mahaprabhu to built a temple for Him, which he built for Sri Chaitanya Mahaprabhu. 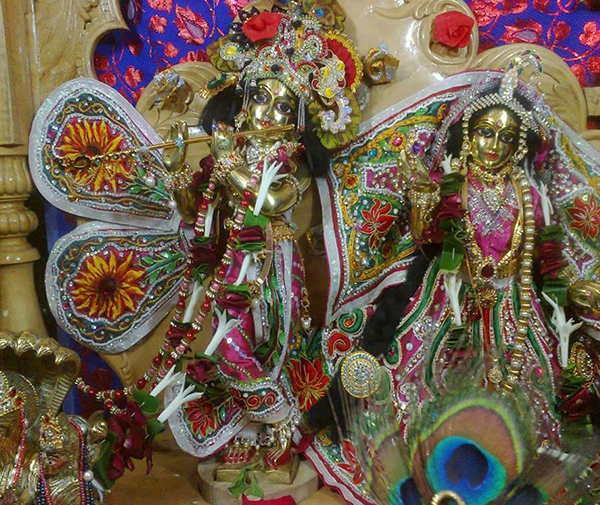 A namahatta center of ISKCON known as “Hare Krishna satsanga kendra” is functioning in Sri Sri Sri Radha-Radhakanta temple having beautiful deities. In the year of 1986 on the occasion of 500th birth anniversary of Lord Caitanya Mahaprabhu, ISKCON padayatra party toured this village.It was headed by Srila Gour Govinda Swami, H.H. Lokanath Swami and was accompained by H.G. Gour nitai Das. Also in 1998 H.H. Bhakti Vikash Swami visited this village. In the year of 2006 for the second time ISKCON padayatra visited this village headed by H.G. Rupa Goswami Das. By the inspiration of H.H. Gopal Krisna Goswami, H.H. Bhakti Swarup Damodar Swami, H.H. Bhakti Purusottam Swami, H.H. Bhakti Gaurav Narayan Swami, H.G. Bhima prabhu and H.G. Brajahari prabhu, ISKCON has acquired half acres of land at Brahmapur to built a beautiful temple for Sri Sri Sri Radha-Radhakanta Mahaprabhu and a guest house to spread the original message of Srila Prabhupada and Lord Caitanya Mahaprabhu. By the blessings of H.H. Bhakti Caru Swami Maharaj, community here is growing nicely. Next time when you visit Jagannatha Puri, Odisha, Please pay a visit to ISKCON Brahmapur and the village “Nimaikhanda”. Since 1995 H.G. Pancharatna Das from ISKCON, Juhu, Mumbai used to come every year to Brahmapur with the ambition of opening one preaching center. He used to meet the devotees individually and conduct house programs. In 1997 Sriman Kasinatha Panda a resident of ‘Barihabil sahi’ invited him to stay in RadhaKanta temple at Nimaikhanda, and in the mean time he can search for a land for the new preaching center. He still remembers the love and care of Sriman Kasinath panda who served him like a father. From 1997 Pancharatna prabhuji was staying in Radhakanta temple and continuing daily seva-puja over there with the economic crisis. For developing preaching in the city he used to walk 10 kms daily to and fro from Nimaikhanda to save 20 paisa per hour cycle rent. After returning from the city he used to cook for the deity. Every Sunday he arranged lectures, invited students and cultivated them. Although he was with tremendous financial crisis he was very much empathetic towards the devotees and convinced them to be true followers of Srila Prabhupad. Initially the villagers were not favorable at all and used to unnecessarily fight with and blame him. The stones were the gifts and the blood was his achievement for all his preaching. The space is short to accommodate all those days of struggle. In spite of all those difficulties prabhuji had full faith on Krishna and never stepped back. Later on the hearts of Nimaikhanda villagers changed by seeing the patience of prabhuji. After that some of the villagers became devotee of Lord Krishna. He arranged ‘Bhagavat-katha’ every year at Gita Bhavan of Brahmapur where H.G. Gour Narayan Das(now H.H. Bhakti Gaurav Narayan Swami) gave lectures. During that period H.H. Bhakti Vikash Swami also came to Nimaikhanda and preached along with nagar sankirtan. One day Prabhuji, prayed to Sri Radha-Radhakanta mahaprahu to kindly provide one small place so that he can be able to do pure devotional service as per guidelines of Srila Prabhupada. After a few years by the mercy of the Lordship one generous man Mr. Hadubandhu Sahu(now H.G. Haribhakti Das) donated his wife’s half acre land to him. By the request of H.G. Braja hari prabhu, the land was registered in the name of ISKCON in 2006. After getting this land he is still struggling for money, good preaching and with his sickness which comes in his way of success. Some how he has manged to built a temporary temple hall, one kitchen and 3 rooms in the ground floor and 5 spacious rooms in the first floor for the guests. He humbly seeks the blessings of all the readers to serve Srila Prabhupada more and more.